TO MAKE A QUEEN or KING, you will need the CLASSIC PACK + the ADD-ON Pack. ADD-ON Pack includes 10 panels of fusible printed interfacing, yardage & cutting information for Queen & King sizes. 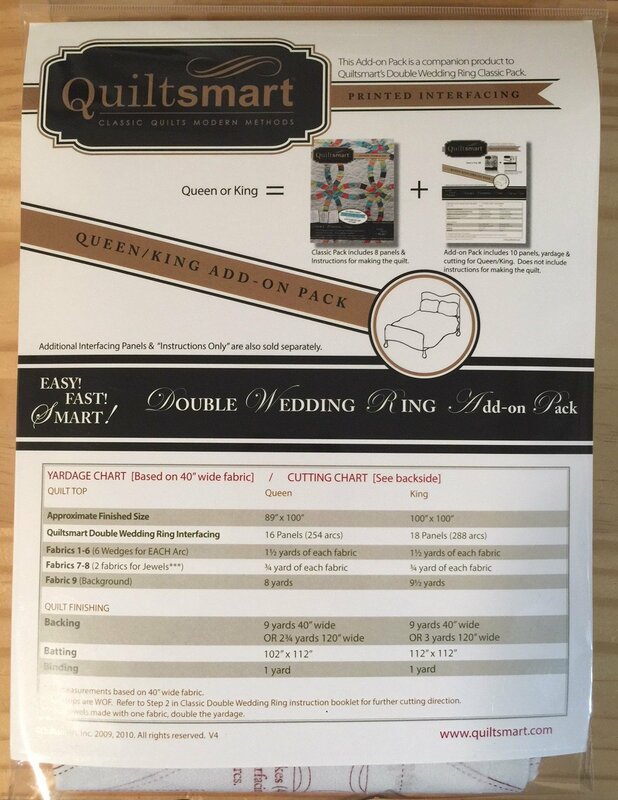 This is the updated version of the Quiltsmart 1995 original Double Wedding Ring made easy with fusible interfacing technique - originally in book form. TRIED & TRUE, this is the VERY BEST WAY to make a double wedding ring quilt! CLASSIC PACK includes illustrated instructions & 8 panels of printed interfacing. Acrylic wedge cutting template is sold separately.